Cadet Parade shoe for ATC. Budget range. 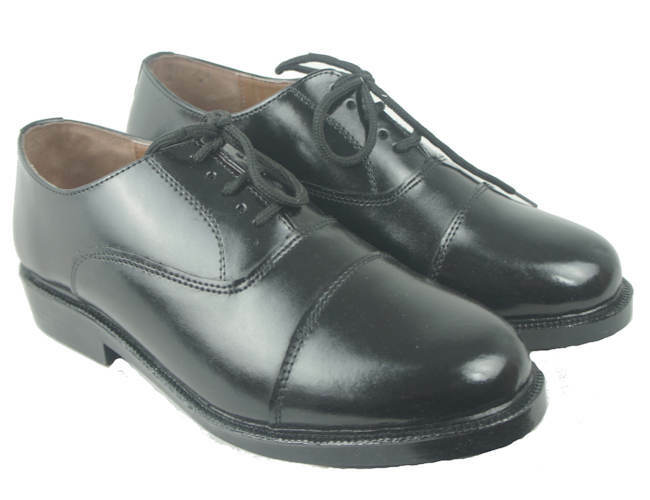 ATC, Air cadets, CCF Police cadet shoes This Cadet Parade Shoe is a great option for entry level use, designed for male cadets in mind, this brand new shoe is used by the Air Cadets as well as people in uniform, who require a shoe for formal wear. The shoe is easy to polish which makes it a great shoe for new cadets learning how to polish their shoe properly and efficiently. With an Oxford toe cap leather upper making the shoe a very hard wearing shoe, which is similar to the shoes used in the RAF. We have shoe sizes available ranging from sizes 3-14. 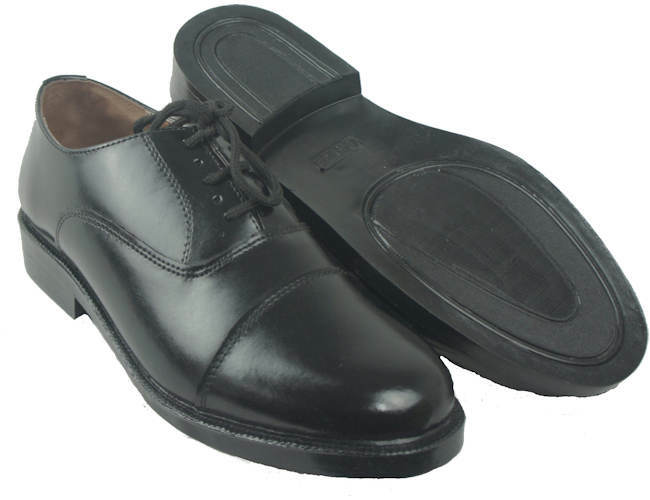 This shoe can be used by the ATC, Air Cadets and CCF Cadet forces.If you are looking for cadet parade shoes and want an affordable pair which will last you a long time, then the Air Cadet Parade Shoe is a perfect fit.We can supply our Cadet Parade Shoes to you next working day using our next day delivery service. Budget shoe at great price.